Last night I came home to Sydney from a unique energy future imagining and ideating experience in Alice Springs, the Northern Territory town in the arid zone heart of Australia. This morning, I woke up still inspired enough to blog immediately. Dozens of energy innovators from around Australia flew into Alice Springs at their own companies’ cost, responding to personal invitations from the Australian Renewable Energy Agency’s innovation engine room, the A-Lab, which is now into its third year of creative workshopping for our renewable energy future. I’m a bit of a veteran of ARENA A-Labs, having participated in several, but for me this was the best yet, and others I spoke with thought the same. The authenticity of the place, the enthusiasm of the people, and the deep relevance of the subject matter all converged to make it memorable. The sales pitch to get us out of our never-enough-time-in-the-day normal working reality, to devote three days in the air and on the ground to the A-Lab in the Alice, was simple but full of promise – and did not disappoint. 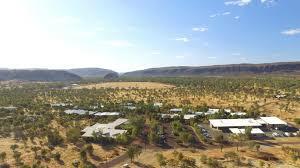 Alice Springs, one of the world’s most isolated communities, sits on its own electricity mini grid with an NT Government-mandated trajectory to reach 50 percent renewables by 2030. The local mini grid system already is testing the limits of solar PV saturation for a traditionally managed generation and distribution system, and manifests itself as a microcosm of the challenges and opportunities that will be faced by the massively larger National Electricity Market (NEM), which covers most of the Australian eastern states. The microcosm-of-the-NEM analogy stands up well. But in the Alice we also learned that the Northern Territory is a fascinating historical remnant of how the energy industry used to be structured nearly everywhere: in particular, it is owned overwhelmingly by the government rather than private interests as in Victoria, or a mix of public and private as is the case in most of the NEM. Under the government’s banner sit Territory Generation, distribution company Power and Water Corporation, retailer Jacana and even a recently-created $5 million innovation initiative, helping to drive the NT’s Roadmap to Renewables, the Intyalheme Centre for Future Energy in association with Desert Knowledge Australia. As you might expect, there is a no-airs-and-graces, down-to-the-red-earth quality about the people who make energy systems work in the NT, from the political power brokers through to the managers and engineers who keep the lights on. Cleverly, the NT Labor Government has made Dale Wakefield MP – she’s a woman, of cheerful demeanour and competent manner – the Minister for Renewables and Essential Services. This takes head-on any NEM-prevalent notions that a transition to 50 percent or more renewables within little more than a decade is inherently at odds with maintaining a reliable, affordable electricity system. Wakefield, who joined the A-Lab for its concluding afternoon to adjudicate the 10 project pitches that emerged from the 1.5-day workshop process, makes no bones about the political imperative to provide interruption-free power supply to the people. Tim Duignan, the CEO of Territory Generation, participated throughout the A-Lab, as did numerous other senior members of the NT energy sector. Frankly it’s hard to imagine the corporate bosses of big East Coast energy companies rolling up their sleeves and freeing their minds to ‘ideate’ energy system solutions in an A-Lab (though I’d love to be proven wrong on this). 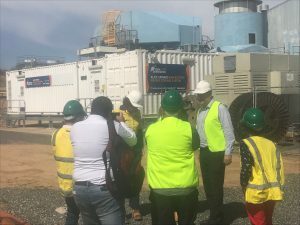 On the last morning of the A-lab in the Alice, most of the participants attended the official opening of the town mini grid’s new, high-tech Battery Energy Storage System (BESS). Minister Wakefield officiated, along with Territory Generation’s Duignan. Both manifested a refreshing, ‘we’ve got the technology and we’ll find the money to invest in deploying it’ approach. The Alice Springs BESS is containerised (see in background). It was project managed by Vector Energy, with engineering support from Aurecon. It uses LG Chem batteries with sophisticated Siemens control systems. The Northern Territory seems to be taking a no-nonsense path to using firming technologies to make a high-renewables penetration grid work. It’s a microcosm lesson that AEMO is paying attention to, seeking learnings for the NEM. 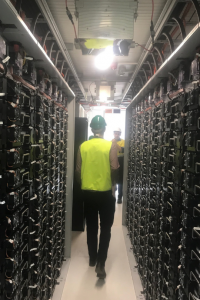 The Government-owned Territory Generation’s new battery will provide reliable, secure, and cost-effective electricity supply for Territorians and for business. It is also one of the largest grid-connected storage solutions in Australia. During high solar penetration periods such as in the middle of the day, solar can currently supply up to 40% of the Alice Springs power needs. It is projected that BESS will support an increase of this supply up to 50%. It is projected that the $8.3 million investment for the battery system will be recouped in four to five years due to efficiency improvements. Inside one of the BESS containers, banks of batteries are racked in air-conditioned comfort – no matter how hot it gets outside. As Duignan noted, the Alice Springs BESS is only a fraction of the size of the so-called ‘Tesla big battery’ at Hornsdale in South Australia – 5MW capacity in the Alice at a cost of about $8 million, compared with 100MW capacity at Hornsdale for about $90 million – but its proportional clout within the grid where it operates is dramatically higher. 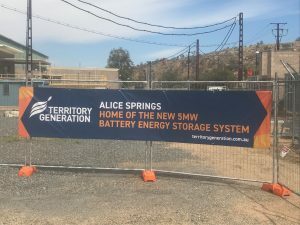 The Alice Springs BESS is 5MW capacity helping to optimise a 50MW mini grid, whereas the 100MW capacity Hornsdale facility sits within a 2000MW grid area. As renewables, almost totally solar PV at both household rooftop and larger solar farm levels, increasingly impact on the Alice Springs mini grid its daytime demand is sinking lower and lower, currently down to a sunny mid-day minimum of about 8MW. While this desert town gets an awful lot of sunshine compared with many parts of the world, even intermittent clouds drifting over can significantly impact on the mini grid supply-and-demand short-term balance, with clouds taking on average 17 seconds to move across the town. As outlined above, that’s where the BESS comes in, with the smarts to deliver near instantaneous responses to keep the mini grid balanced. 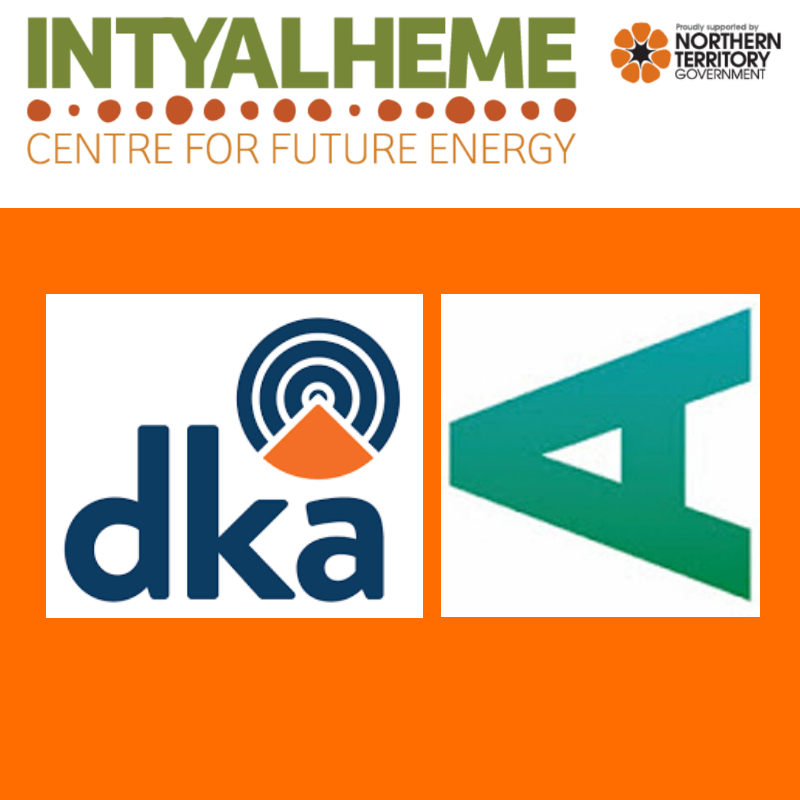 In one-and-a-half-days, the 40 or so participants devised 10 projects for further consideration by Intyalheme and ARENA, ranging from smart micro-managing of behind-the-meter energy infrastructure, to harnessing electric vehicles for time-shifting excess PV generation, through to a multi-billion dollar hydrogen export opportunity for the NT and Australia. Sara Johnston, the general manager of Intyalheme, which hosted the A-Lab in the Alice at the Desert Knowledge Precinct^, summed up the microcosm opportunity most succinctly. Solving the renewables transition for the Alice Springs mini grid is compelling both in its own right, and for the NEM and beyond, because ‘it’s small enough to manage, but big enough to matter’. 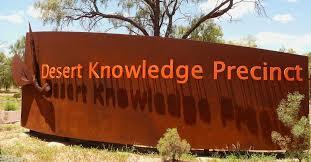 The Desert Knowledge Precinct, outside of Alice Springs, hosted the A-Lab in the Alice. The precinct also houses the Desert Knowledge Australia Solar Centre, which showcases solar technologies. My take-out … and a role for Wattwatchers? I hope to get back to the Alice, which before last week I’d last visited in the 1980s, as soon as possible. I feel a personal connection, a sense of place, perhaps reflecting my own country boy origins in Queensland, and much time spent in the Outback and Top End when I was a journalist in what seems like a former life. I also foresee a mission for Wattwatchers to play a role, yet to be defined, in helping the Alice Springs mini grid to evolve to 50 percent renewables by 2030, and then beyond. Most obviously, Wattwatchers can help to real-time connect homes and small businesses – for monitoring and remote control of their individual electrical circuits for solar PV systems, storage, EVs and larger loads like pools pumps, hot water systems and air-conditioning – into the cloud-connected, intelligent operation of the town and district mini grid. ^The Arrernte people are the Traditional Owners of the land of the Desert Knowledge Precinct and I pay my respect to their connection to country and to the Elders past, present and emerging. I acknowledge all Aboriginal and Torres Strait Islander people as the first knowledge holders of this land. Furthermore, on a personal note, I believe that today’s Australians can show greater respect for the land we share and its Traditional Owners by transitioning ultimately to a 100 percent renewable electricity future powered overwhelmingly by the sun and the wind. Murray Hogarth is Director of Communications and Community Networks for Wattwatchers, the Sydney-based digital energy company.